Rihanna captioned the video with: "Be grateful for life man"
This Sept. 19, 2017, file photo shows Rihanna in London. 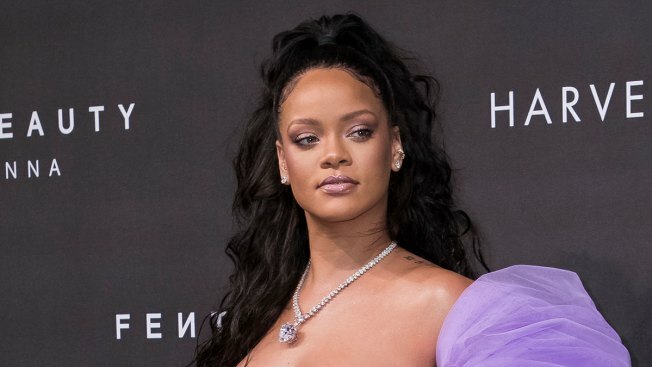 Rihanna is mourning the death of her cousin and calling for an end to gun violence. The singer posted photos of herself with 21-year-old Tavon Kaiseen Alleyne on Instagram on Tuesday, writing that she "can't believe it was just last night that I held you in my arms!" Alleyne died Tuesday after being shot in Barbados, where Rihanna was born and raised. She also wrote, "Never thought that would be the last time I felt the warmth in your body!!! Love you always man! #endgunviolence." On Instagram on Wednesday, Rihanna posted a clip of her cousin smiling and filming himself. In the video he says, "It's nice to wake up and see all of your brothers and sisters." Rihanna captioned the video with: "Be grateful for life man."